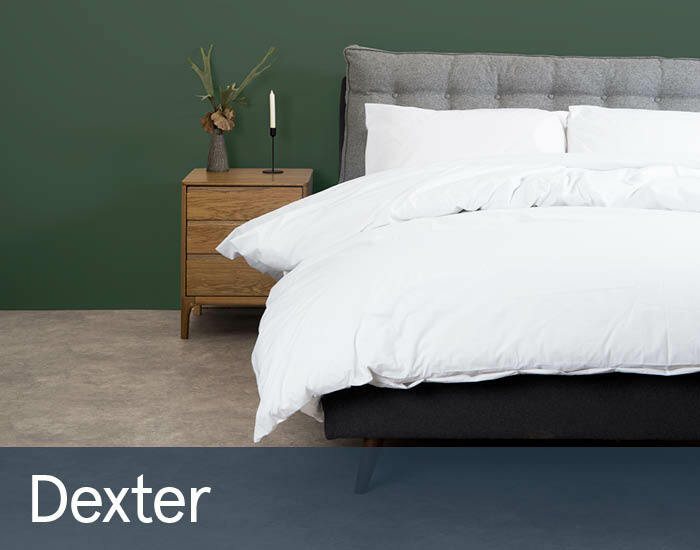 Dexter bed frame was manufactured using traditional methods, which results in a product of genuine quality. All wood used was carefully selected from some of the finest managed sources in Europe. For customers comfort, slats are pre-assembled. The frame is made of powder coated steel. Solid wooden feet could be ordered in a choice of coloured finishes. The bed has been designed with ultimate comfort in mind. The slatted frame sits on adjustable brackets meaning the bed height could be customised. The bed frame is available in a choice of different fabrics and sizes.